Are Indians unpatriotic leaving Delhi during the Commonwealth Games? 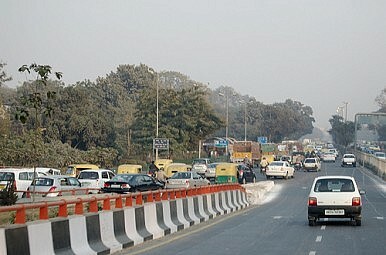 On the eve of the Commonwealth Games, Delhi Chief Minister Sheila Dikshit condemned residents of the city who have been leaving town for the games. She made the comments in response to questions over a public declaration by former Sports Minister and Congress leader Mani Shankar Aiyar, who said he would make sure he wasn’t in Delhi while the games are on. Last week, Aiyar flew to London to spend much of October there. I can see Dikshit's point about a senior Congress leader being so publicly opposed to the games. But it's bizarre that our patriotism should be judged on whether or not we’re present during a games many of us weren't exactly clamouring to host and which we have become painfully disillusioned with. In any case, the games organisers have done everything they can to keep residents off the grid during the games. All educational institutions have been told to remain closed from October 1-17. Offices have been encouraged to let their employees work from home or change their start and finish times. Many roads throughout the city have set aside a special CWG lane for traffic. The main access to my house, a six-lane expressway, has remained shut for traffic for fours hours every day since September 23, and will be shut completely to traffic all day between October 7 and 11. Some of us have been taking detours of 15 kilometres or more to get home each day and have been avoiding venturing out or making non-essential plans so we don't get stuck in traffic. So the last thing we need is to be judged for optimising a forced holiday or less than efficient work week to take a holiday. Travelling when people choose to shouldn’t be viewed as abandoning the country, especially when such criticism comes from those who have contributed to the shaming of the country the world over. As they say, those in glass houses shouldn't throw stones.